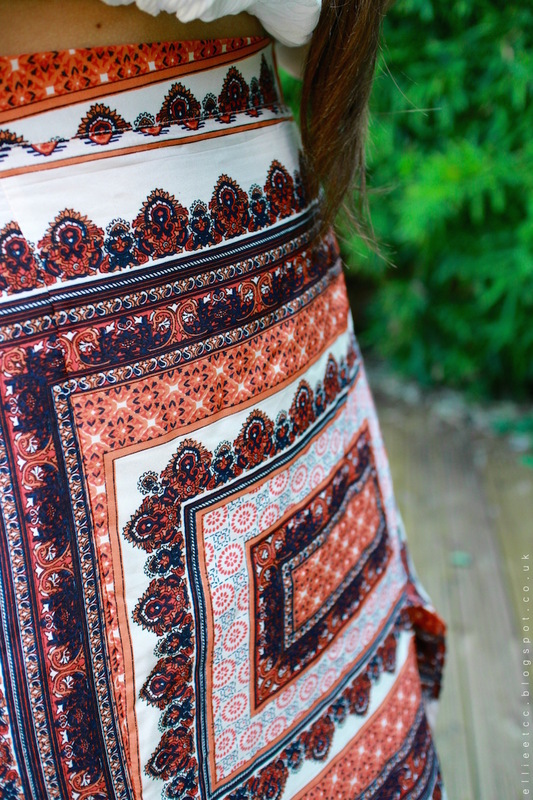 For Look Three for Bestival's Summer of Love theme I've gone for a very 70's gypsy style. Along with more boohoo.com lovin' (check out my collab. 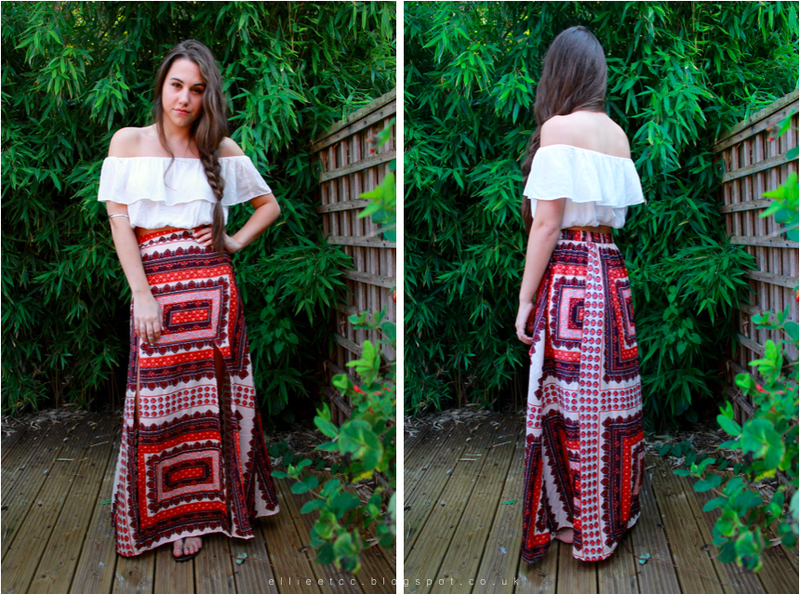 with them HERE) with this gorgeous flowy maxi skirt - double slits and all. 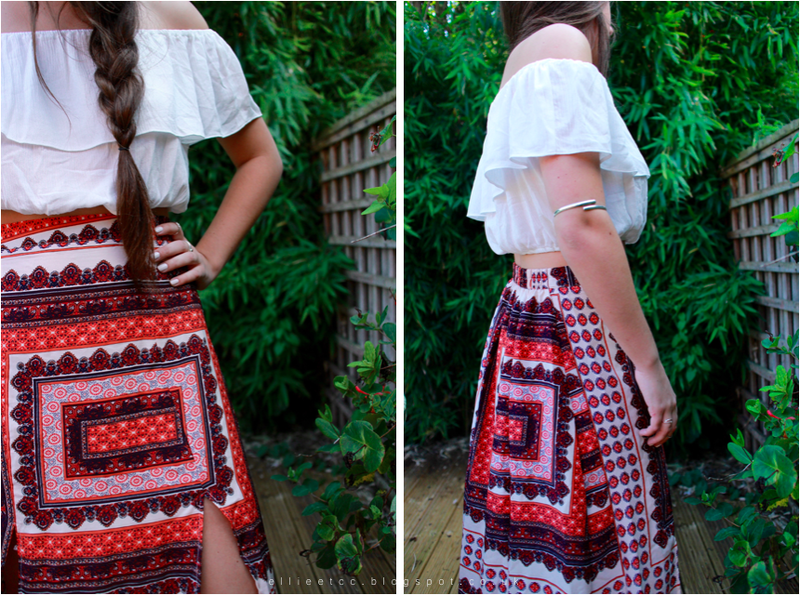 The off the shoulder gypsy style top was featured in my recent ASOS HAUL post which I've not actually worn yet, because I've not really had a reason to (read: I don't want to ruin it/spill anything on it before Bestival). 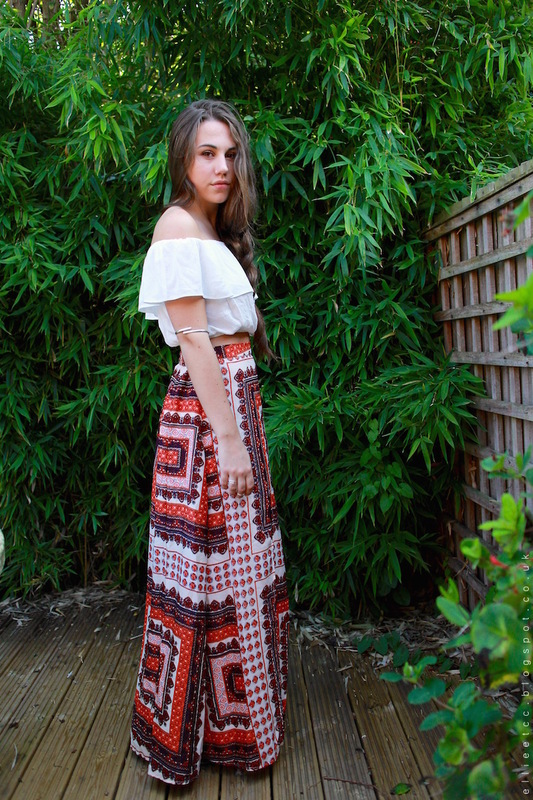 I don't often wear maxi skirts, but I love this high waisted style paired with a cropped top. 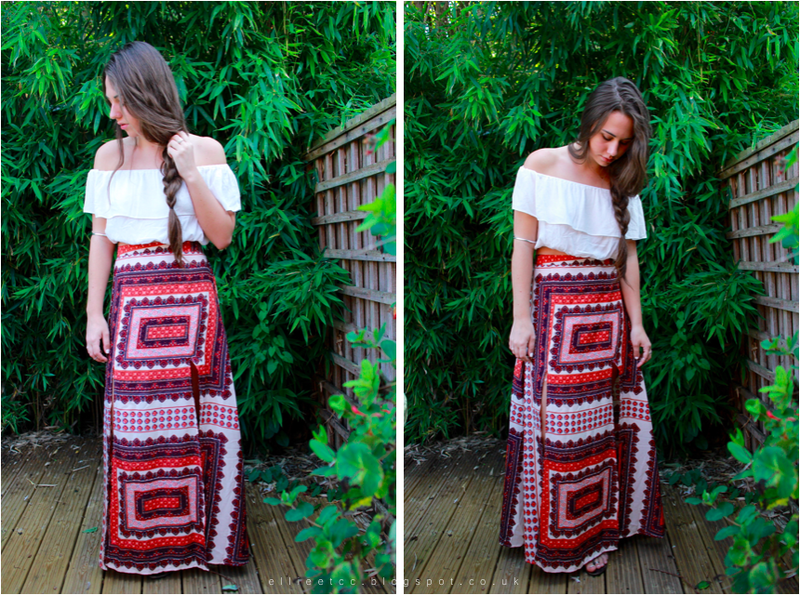 I'm starting to worry slightly about the maxi skirt incase of rain/mud/dirty ground, but fingers crossed the weather is on our side! Are you heading over to Bestival in a few days? What would you wear?